I jumped the gun on this book back in October because of the 1944 Club. 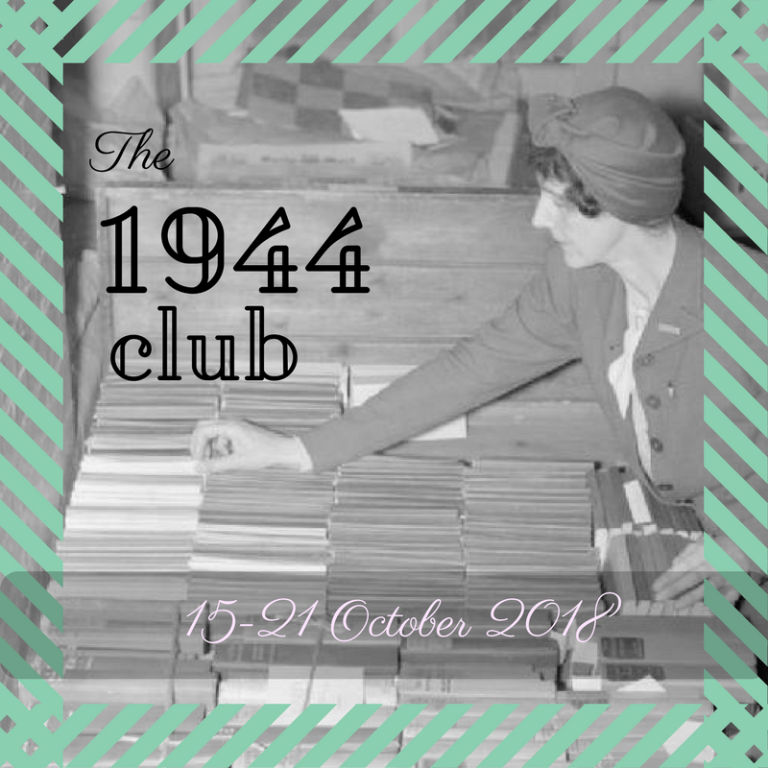 I had already read the book when the club was proposed, so I published my review in time for that club, since it was written in 1944. So, you can read my review there. Suffice it to say that this was one of my best books of the year. I like how balanced this book is in presenting marriage, especially as most of the books we’ve read for Literary Wives are about unhappy marriages. They Were Sisters is a good book for this club, because it depicts three very different marriages, although it spends most of its time on the two unhappy ones. The details of Lucy’s marriage are more implied. They married late after she didn’t expect to. She and William lead a calm, well-ordered life. They discuss their concerns with each other. When Lucy wants to provide a more stable environment for Judith, he is happy to oblige. Lucy approves of Vera’s husband, Brian, but Vera’s marriage slowly disintegrates under the pressure of her boredom with him and his resentment of her series of admirers (whether they are actually lovers is not clear). They become more withdrawn from each other, and eventually Brian gives her a final opportunity to save their marriage. In this situation, Vera is depicted as at fault. Beautiful and spoiled, she is happy to use his money, but she cannot do without the admiration and constant entertaining. Theirs is a true mismatch. From the beginning, Lucy thinks Charlotte is making a mistake in marrying Geoffrey. Charlotte is in love with him and at first thinks he can do no wrong. Later, she protects him even after he makes her life a misery and teaches their daughters to disdain her. This is a classic abusive relationship where he does everything to separate her from those she loves and to destroy her self-esteem. Nothing she does is right, although she only tries to please him. Eventually, she gives up and reverts to alcoholism. 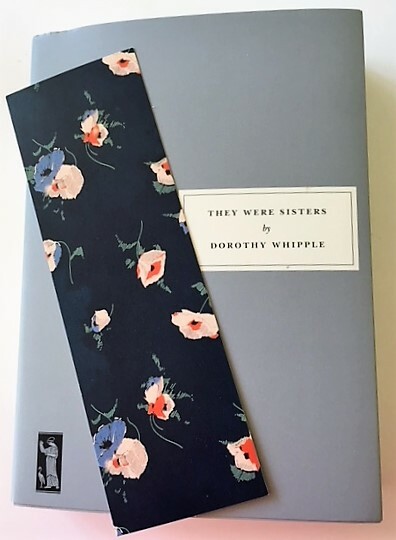 I was going to save my review of They Were Sisters for our February Literary Wives club, but I saw it was also published in 1944, so applied to the 1944 Club! So, for Literary Wives, I will just have to refer back to this review and then make my further comments about the depiction of wives in fiction. Lucy’s sisters, Vera and Charlotte, are much younger than she, so much so that she was largely responsible for raising them when their mother died. Lucy never thought she would marry, but she is, happily, to William, who is a bit eccentric. She has misgivings, though, about her sisters’ choices of husbands, especially Charlotte’s. Vera’s husband, Brian, is solid and devoted. Lucy likes him, but Vera, who is a stunning beauty, seems to be bored with him. She has a constant entourage of male followers and loves to entertain. They have two daughters, Meriel and Sarah. Meriel is close to her father and paternal grandmother, who hates Vera and is always trying to make trouble. Sarah is closer to her mother, but she is the volatile one, who has trouble making friends. Charlotte married Geoffrey. As a young man, he was constantly pulling pranks, and Lucy couldn’t see what Charlotte saw in him. As a husband, he is hypercritical and verbally abusive, teaching his daughters, Margaret and Judith, to disrespect their mother. The three women have been apart for years when they get together at the beginning of the book. After that visit, Vera and Lucy vow to keep in better contact with Charlotte because they are worried about her. Only Lucy pursues this, however, and through her efforts falls completely for Judith as a child. Although Charlotte avoids Lucy as she loses herself to alcoholism, Judith becomes a regular visitor to Lucy and William’s home, where she sees a more normal home life than the one she has. She also makes unlikely friends with her cousin, Sarah. This novel is an insightful study of the bonds of sisters, despite their differences. It is a lovely book, also about how the act of caring on Lucy’s part has ramifications beyond her own sisters’ lives. Again, Whipple gets better and better. I will be sad when I will have read all of her books. More about this book in February for Literary Wives!